Since I am just a blogger, you probably don’t have a great picture of what I look like in your mind – I’m blonde and very fair skinned. 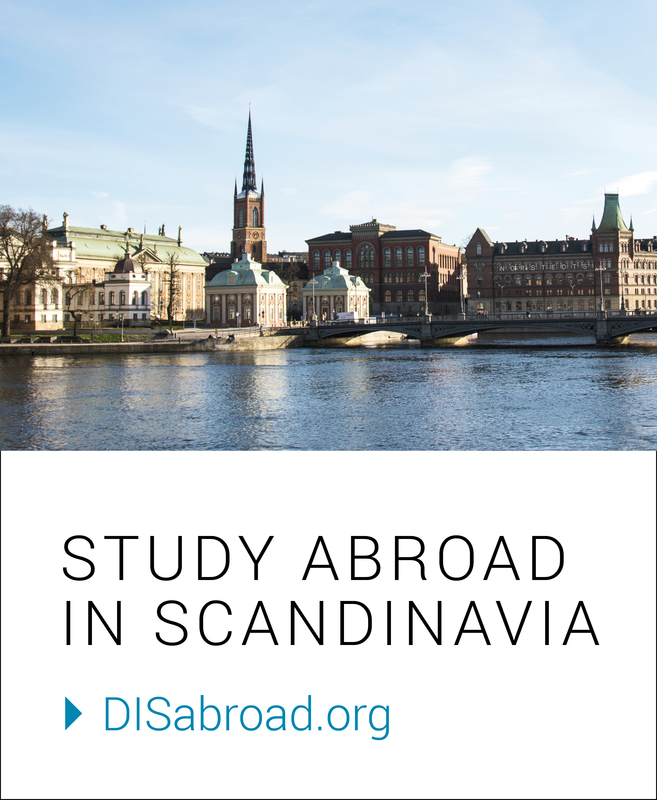 I didn’t really consider this until I landed in Stockholm, where every single passerby, airline attendant, and airport staff began speaking to me speedily in Swedish, despite my disembarking from a plane coming straight from the U.S. Now don’t get me wrong, one of the reasons I chose to (and was able to) study in Stockholm is because the only language I have ever studied is Latin, and Swedes are famous for how well they speak English. But before I left for my trip, I was getting pretty intrigued by the Swedish language and was getting nervous to learn it. With the extra letters, the musical sound, and the complete lack of resemblance to anything I have ever learned, I knew it was going to be an ambitious quest to learn decent Swedish. “Hej hej!” — the universal Swedish greeting (and, if you recall… the title of my very first blog from Sweden!). Seems simple enough, right? Well, the truth is, it will only get you so far in your busy days exploring Stockholm. Like I have attested to previously, some of my favorite memories from my semester abroad have been stumbling into little cafés with some studying to do or a good book. I think many of my fellow Swedish-studying classmates would agree that going into one of these cozy places for some Fika or relaxation is made even better when you can get through the whole interaction with the barista in Swedish (admittedly, maybe somewhat broken, but still!). Of course, I am not claiming to have perfect or even great Swedish language skills. I have only been studying it for 3 months! But you will be surprised how far an “ursäkta, jag talar en lite svenska” (“excuse me, i only speak a little Swedish”) will get you in your daily life. This will often prompt a smile from the Swede you’re talking to, breaking the ice for a conversation. Countless times, I have said this in stores, restaurants, coffee shops, the tunnelbana, you name it. 9 times out of 10, I get an excited response somewhere along the lines of, “Ahh, so sorry, English, of course! Where are you from? That’s so cool! What are you doing here in Stockholm?”, often followed by some sort of insider suggestion as to the cutest boutiques, quicker ways to get somewhere, or best things to do as an American student studying abroad. Another great thing about DIS Stockholm that I have really come to appreciate is that the classes are held in a big university building (KMH – the Royal College of Music) with tons of Swedish students. After our Swedish class, Caleigh, Julia and I often go to the (low key deliciousss) cafe in the building for lunch, getting to practice little phrases when we are ordering and even some quick interactions with the non-DIS students while we are eating and sharing a long cafe table with Swedes. I have learned that even if your accent isn’t perfect, or you don’t know the right word in Swedish, most Swedes just really appreciate that you are trying and that you want to involve yourself in their culture, which can lead to some great language-learning buddies and opportunities to meet Swedish students your own age (that are super cool!!). Swedish is not easy, but it’s so worth it! experiences of my semester abroad. Especially if you are thinking of living in a Homestay (if taking Swedish is the 2nd best thing I’ve done, living in a Homestay is hands down #1 best choice I made), learning the language can be fun, interactive, and quite useful. One of the most homey memories I have from my Homestay is watching a children’s news television program in Swedish with my 10 year old host brother. I was able to both gain perspective on the Swedish media as portrayed to children, as well as understand most of the program and learn a few new words along the way! Moments like this remind me how much learning a language isn’t just about acing a vocab quiz or memorizing a bunch of stuff before the semester is over because your GPA needs that A. It’s being able to fully live in a culture and appreciate the same things your family does, to truly understand things as if you were a Swede, not an American looking in. I can never claim to be entirely Swedish (I wish!) but putting so much effort into learning the language has definitely brought me much closer than I imagined I could be when I first arrived at Arlanda. A picture I took during a day of solo city exploration during the snowstorm!